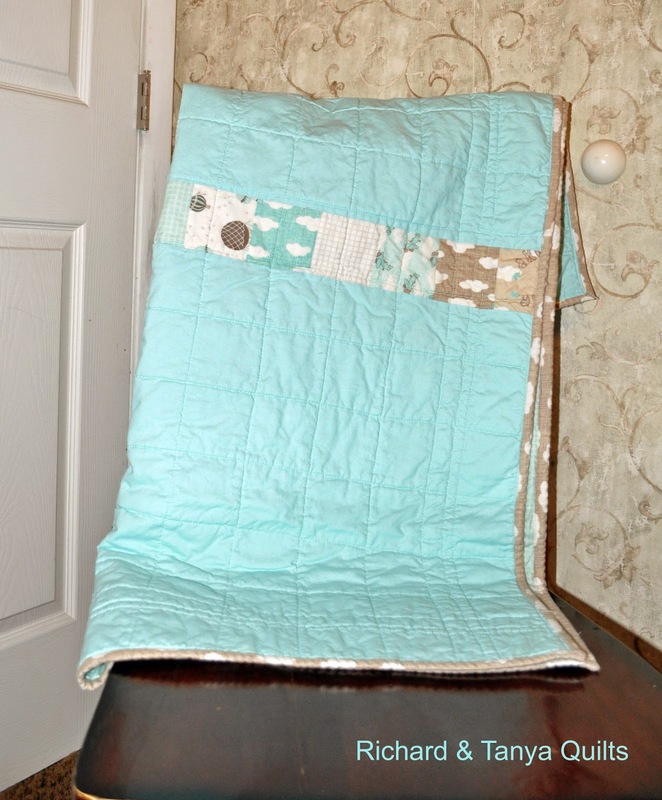 This is made from Aqua and Stone from Storybook line by Kate & Birdie for Moda. 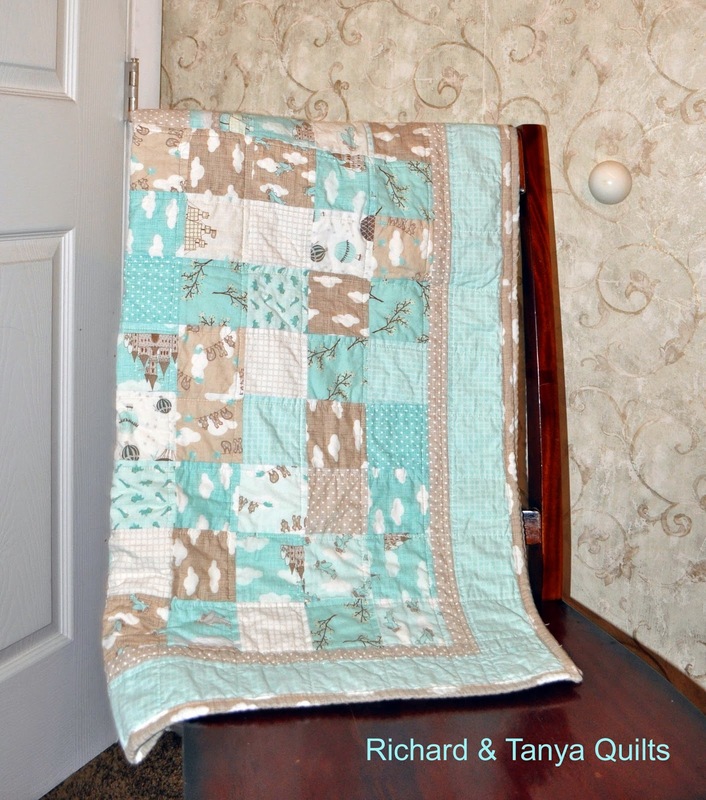 It is a brushed cotton and super soft. This is a really fun line with clouds, birds, hot air balloons, airplanes, castles, clothes on line, branches and ships. 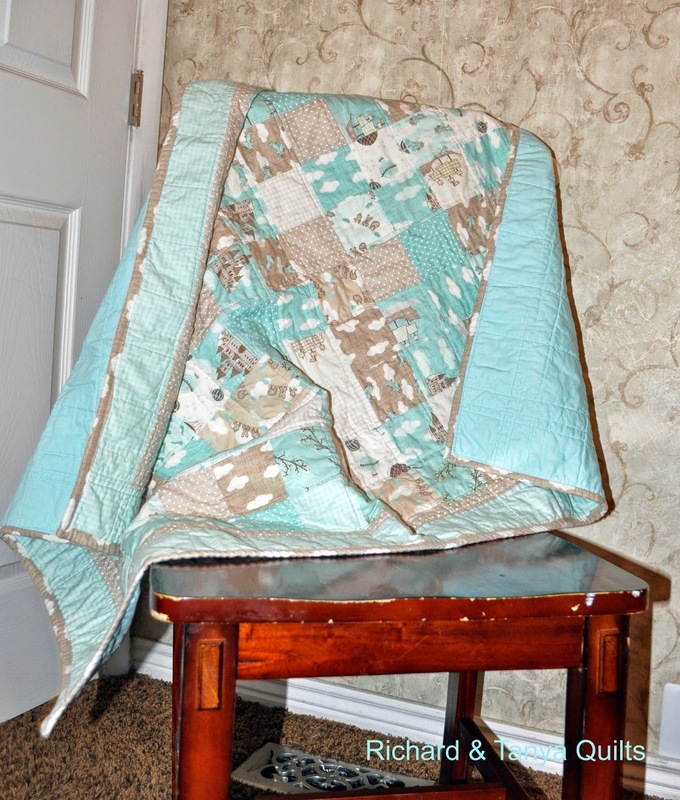 We used our pattern Simple Squares to make this quilt. Sadly the pictures really do not give it justice its really nicer then it looks. 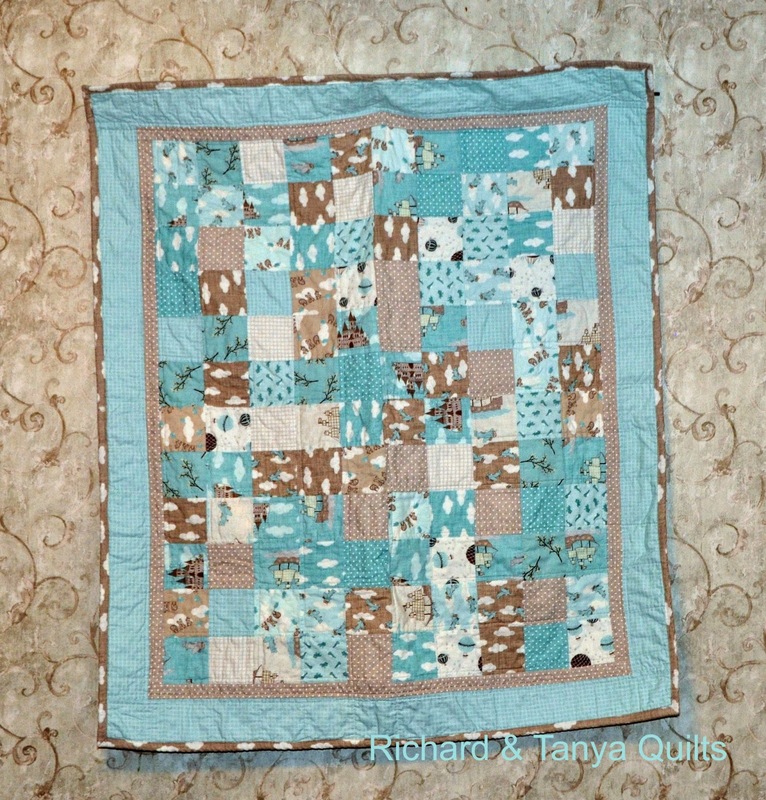 What a great-looking quilt that collection made!